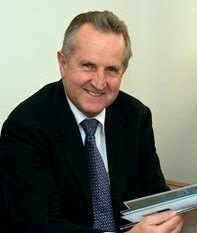 During his extensive public relations career, Richard Fewster has consulted at the highest level to a broad range of companies and organisations in the areas of strategic planning, community consultation, corporate public relations, issues and crisis management, marketing and media liaison. Richard has worked extensively with government at Federal and State levels, as well as telecommunications, engineering, manufacturing, irrigation and agricultural industries across Australia. One of his greatest strengths is understanding technical issues and creating clear key messages which effectively engage their audiences. He has a detailed knowledge of the approaches and strategies required to successfully engage stakeholders, often in potentially contentious environments and from diverse backgrounds. Working with dealer networks is another speciality. Richard was founding chairman of Turnbull Fox Phillips Pty Ltd (now Porter Novelli). He is a former member of the International Board of Porter Novelli, a wholly-owned subsidiary of Omnicom, and a New York stock exchange listed company. Raised on a farming property in the Riverland, Richard and his wife Anne now operate Ruston’s Roses at Renmark – Australia’s largest commercial rose garden and major supplier of cut flowers and genetic material to the nursery industry.